The DNC program offers up/download communication with the machine controller for remote batch loading and NC file extraction. cncKad lets us make a program with just a few clicks and keystrokes. 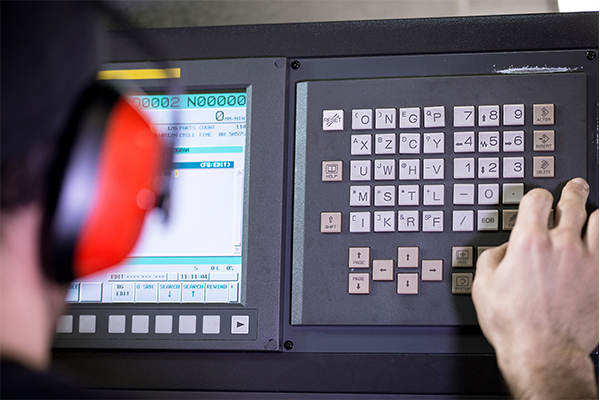 CNC programming has never been so easy and fast! The cncKad DNC program provides upload and download data transfer with your machine. It supports single file as well as batch loading, and allows for remote batch loading and extraction of files. Using cncKad‘s extensive and powerful CAD commands, quickly and easily design components, or edit imported projects from customer systems. cncKad punching creates programs for your punch machine from CAD files and designs. cncKad cutting creates programs for your cutting machine from CAD files and designs. cncKad creates efficient NC programs, taking machine capabilities and limitations into consideration. Step-by-step, cncKad’s simulation displays the generated NC code, graphically showing the results of each operation. cncKad supports 2D milling for forming pockets and shaped contours. cncKad supports drilling machines and combination machines with an extra drilling head. cncKad provides full manual and automatic support for busbar parts. cncKad‘s easy-to-use tube cutting module offers fast and simple programming for CNC tube cutting machines. Metalix offers detailed cncKad reports using a variety of production report templates.